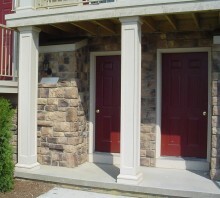 Square fiberglass columns offer an alternative to the more traditional round columns. 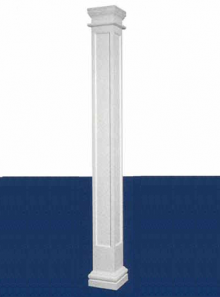 Our plain square fiberglass columns come in 8", to 16" square. These are available up to 20' in length and come with an applied astragal and include a Tuscan capital and base molding. They are both lightweight and strong, resulting in a column that is easy to handle, water-resistant and impervious to moisture-related problems. 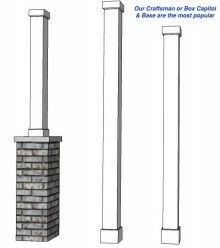 Plain square fiberglass columns are made from cast glass-reinforced polymers with exceptional strength and durability. The design and versatility of an HB&G square column has enhanced its popularity with today's architects. 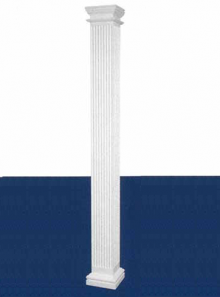 The HB&G Square PermaCast® column line up includes square, plain, fluted and recessed panel. 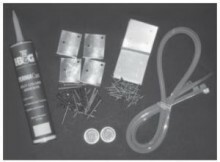 An unlimited combination of styles can be achieved by various uses of the panel molding, neck molding, and caps and bases. 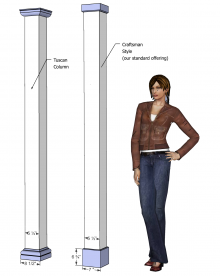 Additionally, non-tapered square columns can be cut shorter without affecting the load bearing capacity or fit of the caps and bases. Call for additional sizing and prices. Rough Sawn Brace - 24"